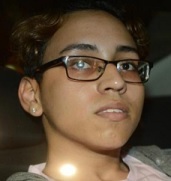 Abel Cedeno, a bisexual 18-year-old high school student, sits at Rikers Island charged with manslaughter. Cedeno claims he killed another student in self-defense, and Wednesday appeared in court to plead not guilty. He insists his school did nothing to address years of homophobic bullying. And that on Sept. 27, two teachers in his history class did nothing as classmate Matthew McCree confronted Cedeno — who, claiming to fear that Matthew was armed, snapped and stabbed him with a serrated knife. While the families of the perpetrator and victim dispute some details, they agree that, in the words of Matthew’s brother, “Nobody had the kids under control” at Urban Assembly School for Wildlife Conservation in the Bronx. All parents want to know whether or not their child is safe at school. In New York City, the public schools under the control and authority of the New York City Department of Education are not safe. It is a free-for-all where the strongest or the baddest, rule. The reason, we suspect, is that being outraged at the death of a student in a school that had sacrificed traditional school discipline in favor of “restorative justice” — which tries to replace punishment with softer corrective interventions that teach children the error of their ways — would go against a new education reform dogma. For a time, education reform used to be a bipartisan or nonpartisan enterprise for improving student achievement. But much of the movement has morphed into an arm of the social-justice industrial complex, dedicated to causes du jour from the travel ban to transgender bathrooms. One of those causes is fighting the “school-to-prison pipeline” by overhauling school discipline. Activists are alarmed about the racial disparity in suspensions and refuse to admit the possibility that differences in poverty and family structure play a role. No, according to former U.S. Education Secretary Arne Duncan, the disparity is “not caused by differences in students.” Teachers are to blame, so teachers must be restrained. And were they ever restrained at Urban Assembly. Before Mayor de Blasio’s citywide push to reduce suspensions began in 2015, it was a safe school. In 2013-14, according to the city’s official school survey, 86% of teachers said order was maintained, and 80% of students felt safe in the hallways. Matthew could easily have been the second death: In February, a vice principal caught the suicide attempt of another student who’d been bullied as he hung by his neck with his own sweater in a stairwell. Parents have rightly demanded to know why the school district declined to give Urban Assembly metal detectors that could have caught Cedeno’s knife — and then one was installed after the slaying. Gay rights groups demanded to know why the bullying of this young boy was permitted to continue — and then de Blasio announced a new anti-bullying initiative. But neither metal detectors nor tolerance seminars were likely to bring order to a school where administrators and teachers abdicated responsibility for the bedrock job of maintaining order to parent volunteers. Shockingly, the principal who presided over this catastrophically unsafe school wasn’t even fired. Astrid Jacobo was merely reassigned to an administrative support center. It used to be a scandal for education reformers if a teacher swore at a student and was put into a “rubber room” with full pay. So why have there been no calls for greater accountability over the death of a child? Maybe because the principal and city Schools Chancellor Carmen Fariña were implementing policies that today’s reformers hold dear. Social justice reformers are apparently so ideologically committed to fighting the “school-to-prison pipeline” by limiting teachers’ subjective disciplinary judgment that they are willing to blind themselves to reality as a school spirals dangerously out of control. Parents don’t care about narratives. They just want to know that their children are safe at school. Reformers used to care about that, too. But today, when student safety comes into conflict with social justice ideology, there’s not even a debate. Eden is a senior fellow at the Manhattan Institute. Pondiscio is a senior fellow at the Thomas B. Fordham Institute. A bisexual Bronx teen targeted by bullies until he exploded in rage was indicted for manslaughter Tuesday in the grisly switchblade stabbing of a classmate. Abel Cedeno, 18, was initially charged with murder in the gruesome Sept. 27 killing of 15-year-old Matthew McCree at the Assembly School for Wildlife Conservation. The grand jury’s decision to go for a lesser charge was announced only hours after a contentious Bronx court hearing where the mothers of both victim and suspect defended their sons. In an interview published in Gay City News, Cedeno claimed he was defending himself from repeated punches from McCree. Additional counts — including murder — remained possible against Cedeno as the panel continues its probe of the city’s first school killing since 1993. Defense lawyers moved quickly to get Cedeno’s bail set at $500,000 on the lesser charge. The suspect was jailed immediately after his arrest in the stabbing, which took place before a terrified history class filled with fellow students and a pair of teachers at the Bronx school. Cops later said he had no history with the slain McCree. Cedeno, for the second straight time, opted not to appear in a Bronx courtroom packed to the rafters with family and friends of the defendant and McCree. Some 20 court officers ringed the room to insure the volatile situation remained calm. Luz Cedeno, her eyes hidden by sunglasses, insisted her boy Abel was not guilty of murder when he plunged the blade into his classmate during a morning history class. “My son is innocent,” declared Cedeno, whose teen surrendered quietly after the killing that sent McCree’s friend, Ariane Laboy to the hospital with stab wounds. The bisexual Cedeno has maintained he was repeatedly abused by school bullies, with lawyers and family friends insisting he finally snapped after anti-gay slurs and other abuse from classmates. But the mother of McCree was equally emphatic after arriving for the hearing in a blue shirt adorned with her child’s photo. “Beloved Son” was written above the dates of his birth and death. Mayor de Blasio, speaking to the Daily News Editorial Board, said the city’s first in-school killing since February 1993 hit him and his wife, Chirlane McCray, hard. “I was at the wake for this young man, and Chirlane and I were devastated looking at this young man full of promise just lying there,” de Blasio said.